We have numerous door lines at our disposal and are happy to compare suppliers for you to find you the best price and lead time for your project. 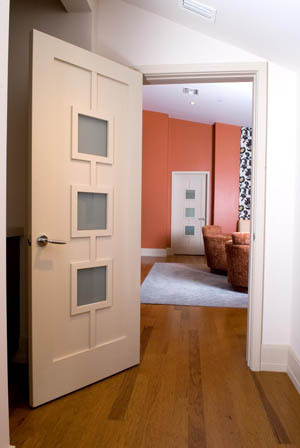 Our complete door shop will prehang your door to your specifications and offer help in selecting everything from hinge type and color, to wood species for your jambs. 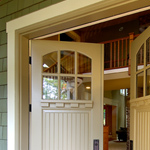 Our craftsmen are skilled in building complete entry door systems with sidelights and transoms. 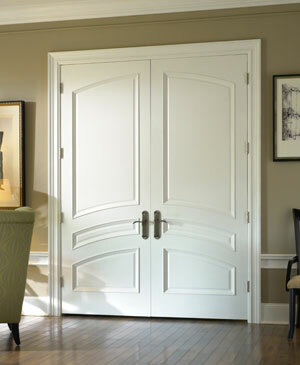 Many of these doors are available in stock in standard sizes for fast delivery ... or made to order !